National Street Performers Competition Is Great Value For Money Entertainment. If you would like to host a competition and bring the feel of Covent Garden, Venice Beach or Las Ramblas to your town and streets, then you need to host a Street Performers Competition! 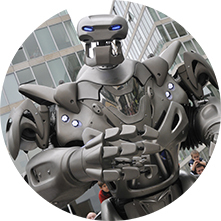 A full program of street acts including street performers and street theatre entertainment that bring variety, hilarity, intrigue, suspense, and skill to WOW the crowds and provide an event that will last in people’s minds. It will create a local buzz around your town from the start, and is best when held over two days. By hosting this event there is fantastic PR potential and lots of media opportunities. You Will Encourage And Nurture New Talent In Your Local Area, Giving Performers The Chance To Perform! 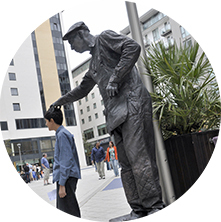 The National Street Performers Competition allows you to find and encourage new talent in your local areas. It gives local talent a chance to shine, AND helps to nurture their talents, as well as maximise the use of your town’s available spaces! Put on a great event your visitors will never forget! Don’t Know How to Put It All Together? We Can Help With That! We provide only the best street performance talent available. A fully balanced show with acts on throughout the day. With up 5 hours of entertainment per day intertwined with your local talent applicants, we host the show and provide continuity through out. With street theatre acts working the surrounding streets, we will bring more awareness to the main event held in locations such as a town square, park, village green, or other suitable locations. Fully compered and run from start to finish! Hosting A Street Performers Competition Brings Credibility To Your Area/ City/ Town/ Village! 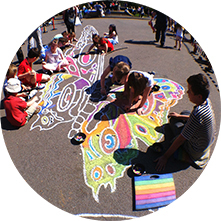 You will be entertaining your towns folk and inspiring talent in your area, giving them the opportunity to perform, as well as promoting and making accessible the street arts to your community as a whole. But most of all, you will be getting value for money and entertainment that your public will love. We look forward to bringing your streets alive with some amazing entertainment.